This barley corn moonshine recipe takes you back to the good old days of moonshine running when you could just throw everything you had at hand into the fermenter and watch how things play out. Well, you can surely do it now as well, there’s no one stopping you there. The approach is really simple and doesn’t involve any sophisticated methods to get things done. Just make sure to ferment it thoroughly and manage the cuts well while distilling. If ya get it right it’ll be a splendid old-school moonshine that’ll make a great drink on a cold winter night, or just anytime you fee’like sipping on it! As ol' fashion as it gets! Pour 6 gallons of water into a boiling pot, bring to around 90°F, then add barley, dark molasses, cracked corn and malt syrup. Mix the ingredients well, remove any grains that float on top. Transfer the mixture with all the remaining solids into a fermentation bucket, let cool to room temperature, then add yeast. Close the lid, put the airlock in place, allow to ferment completely (should take about 2 weeks). After fermentation has stopped, wait for 2 more days then use a siphon tube to transfer the wash to the moonshine still, leaving all the solids and sediment behind in the fermenter. Distill as you normally would to get optimal efficiency and proof from your still. We’d suggest using amylase enzyme to ensure proper starch conversion in such a grain-heavy mash. For this, you need to add 1 teaspoon of enzyme to the mash right after transferring it to the fermenter and leave it for about an hour before pitching yeast. 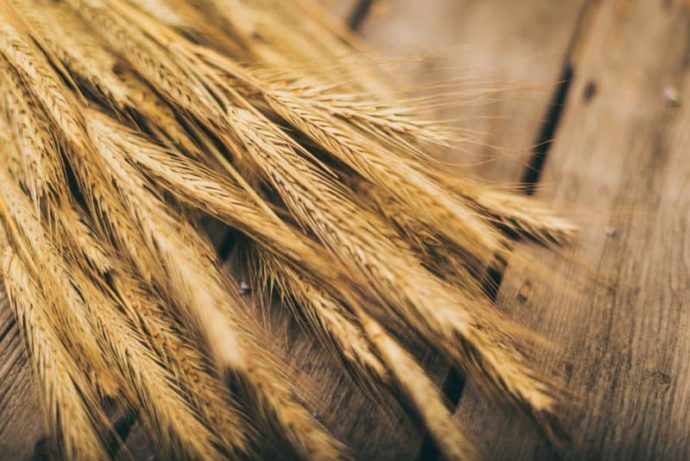 Simple barley can be substituted with malted barley for better efficiency and to avoid using amylase enzyme in the first place. The final flavor and proof of the moonshine depends on the type of still you’ll be using to distill it. Check out our guide to stillin' to learn more! I wouldn’t mind trying the corn barley recipe however I only do my mash in 5 Gal.. Buckets. Could you condense the recipe for me into a 5 Gal. Bucket recipe? Thanks Maynard! We’re reviewing and fixing all our recipes currently and have not yet gotten around to this one. But, to get you started with your 5gal mash (that’s typically what we do too) here’s what I’d probably do for the first batch and then adjust for the next few runs: Try 5lb barley, 5lb cracked corn, ~1/2 can of malt syrup, 5lb of molasses, and 1-2 small packets of yeast. Let us know how this one turns out for ya and post back here with your thoughts!